Thanks so much to everyone who left us a sweet message for our anniversary. 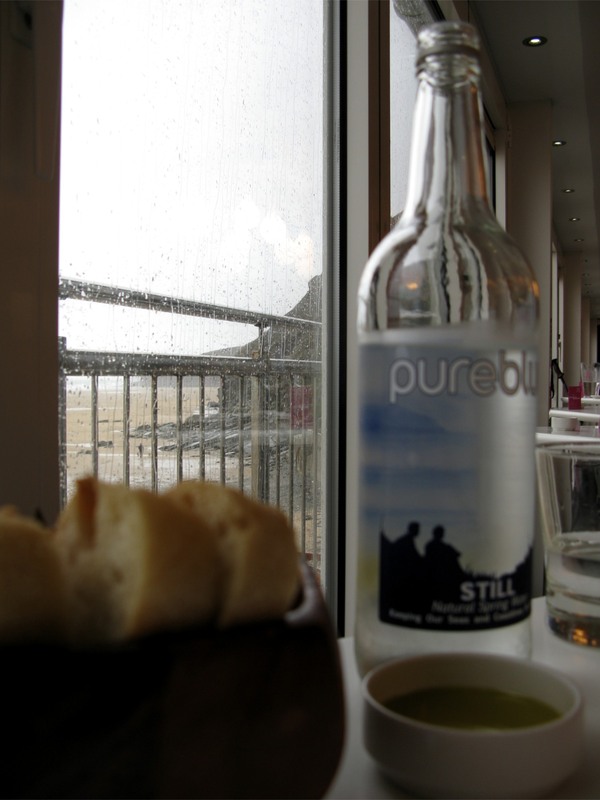 Although the rain made it day to stay in, we ventured out for lunch to a special place to celebrate the day. 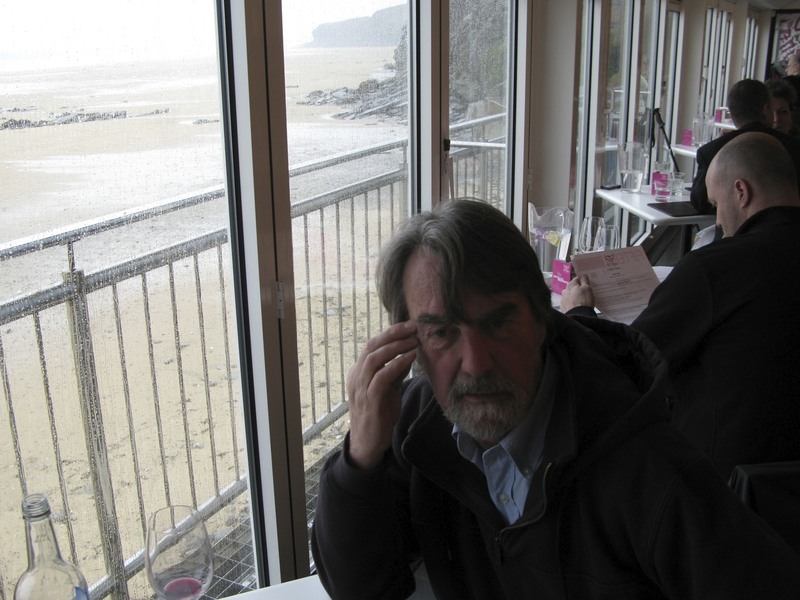 In Cornwall, there are some places that receive a great deal of attention for their food and the place where John and I had lunch is one of those that people talk about. 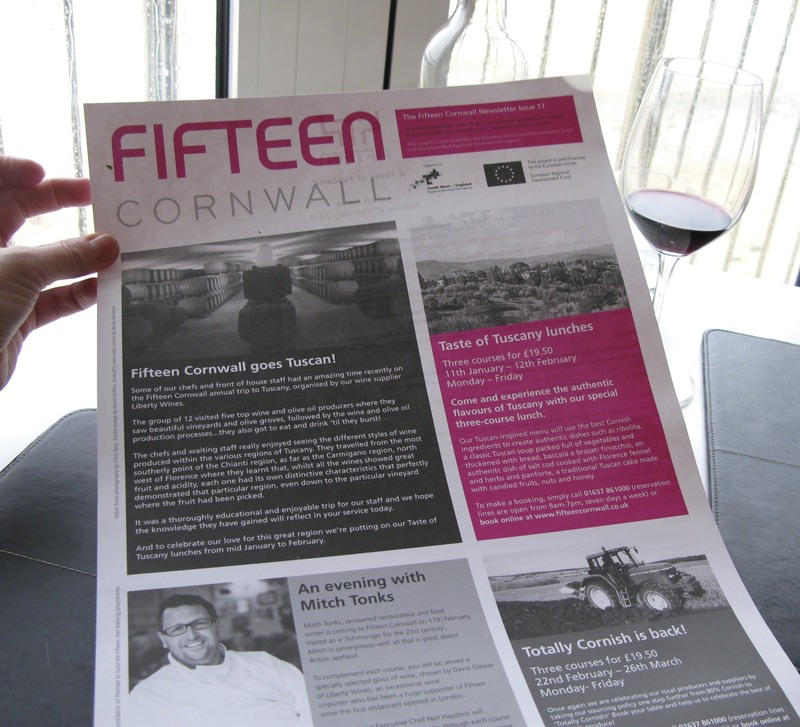 In addition to serving up yummy meals to please your palate, they also serve the community of Cornwall though a special apprentice program modeled after Jamie Oliver’s Fifteen Foundation and restaurant in London. 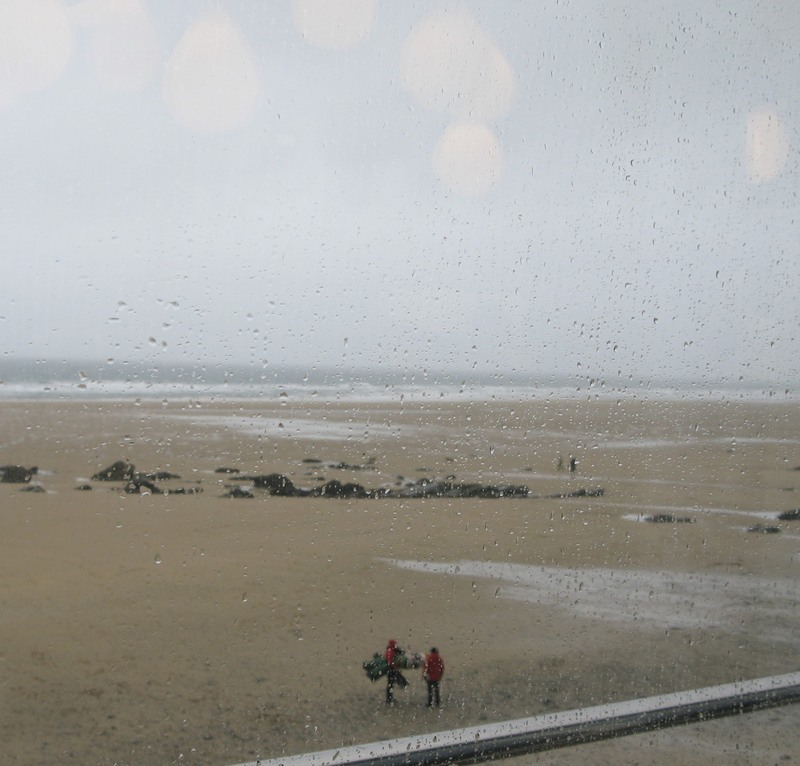 Tucked away in a place called Watergate Bay, we enjoyed the sea views from our table even though we were not inclined to brave the beach as some of the people you’ll see below. 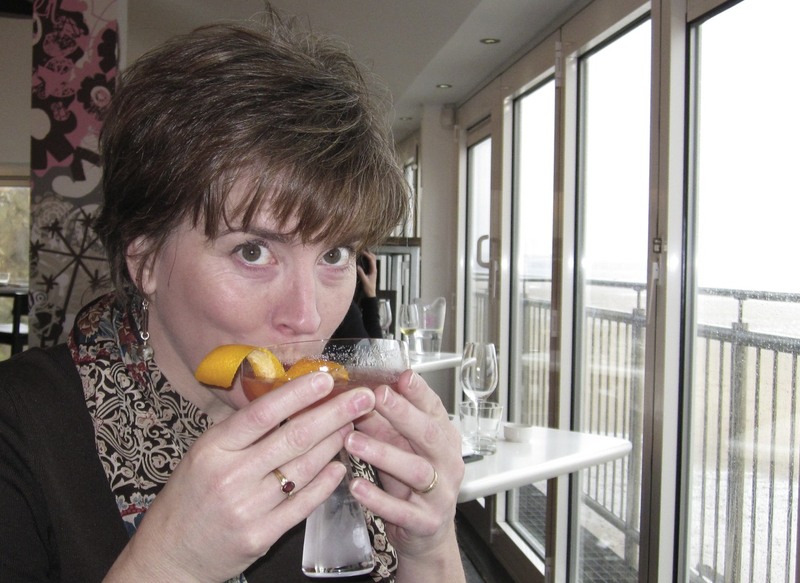 Mmm … a Cosmopolitan, just like I remembered from evenings out with the “Girls” back in Atlanta. Here’s one of John at the end of our meal … well fed and relaxed. There was a Tuscan theme to the menu this month as our food choices below reflect. 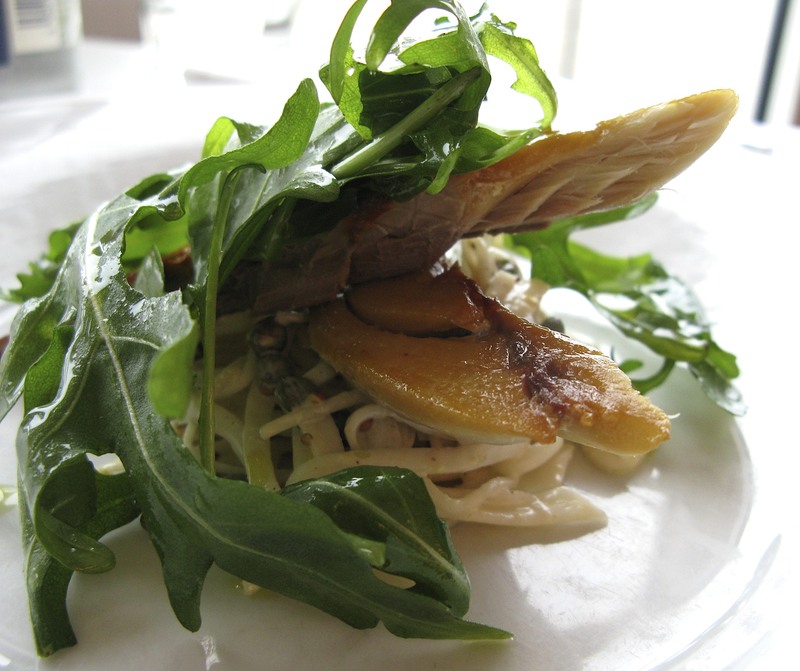 Cornish smoked mackerel with celeriac remoulade and wild rocket. 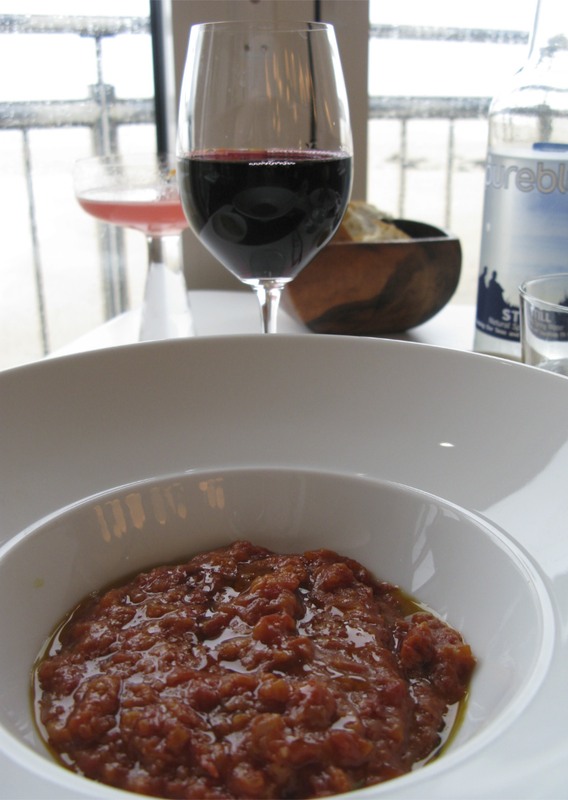 Pappa Pomodoro ( a rich tomato and bread soup finished with a good oil). 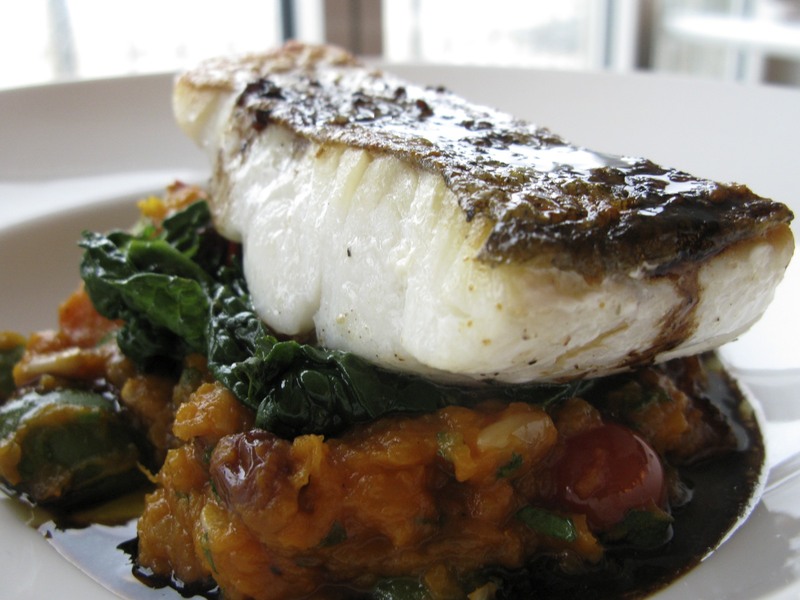 Roast fillet of pollock with Fifteen’s amazing squash caponata, spinach and aceto di balsamico. 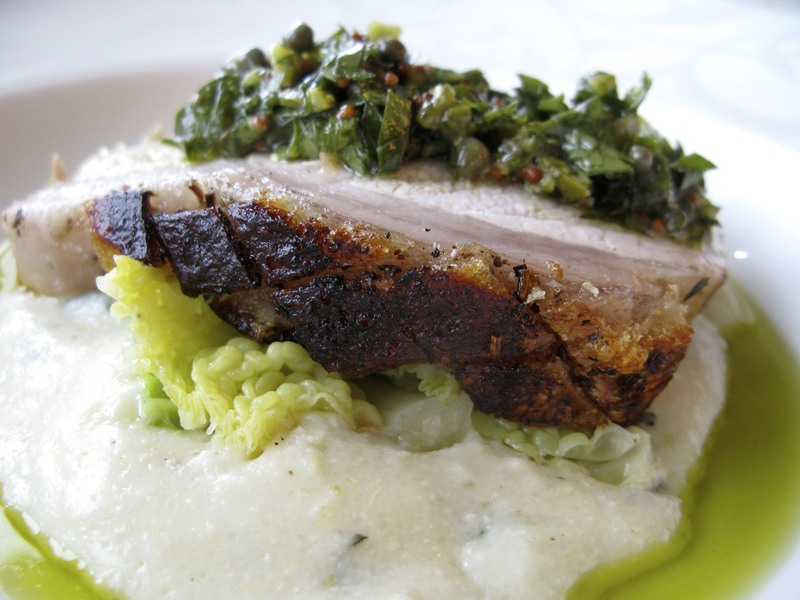 Roast Cornish rare breed pork loin with oozy polenta, Savoy cabbage and salsa verde. And we are back where we started … well sort of anyway … burp … oops, pardon me. 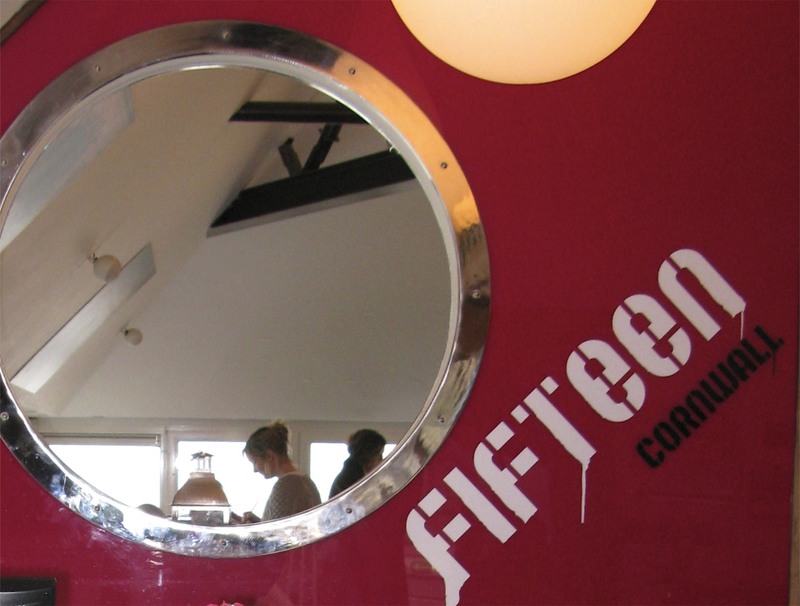 … we said goodbye to Fifteen and headed for home. I wanted to say that John was completely surprised by my anniversary gift. He had no idea that the tiny heart was there and he suggested that I post a photo showing more of the building so you might see its size in contrast with the rest of the wall. If you are having trouble finding it, look to the far right and you will see it about half way down the wall. Adding to our lasting memory, Kristin over at Gypsylife has a sweet story of her own. It made me smile to see that my post had triggered a special memory for her … I wonder if you have one of your own you might like to share below. 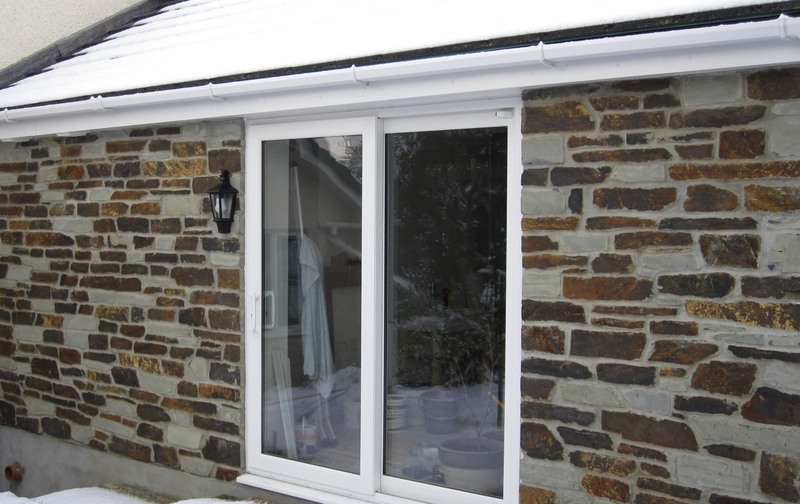 This entry was posted in Cornwall, Love, Memories and tagged A Shelter For My Heart, Beach, Celebrations, Cornwall, Fifteen, First Anniversary, Gifts Of The Journey, Gypsylife, Jamie Oliver, John Winchurch & Elizabeth Harper, Lunch, Watergate Bay. Bookmark the permalink. Mmmm, looks just delicious. Esp. the Mackerel. I love the heart in the big strong wall. 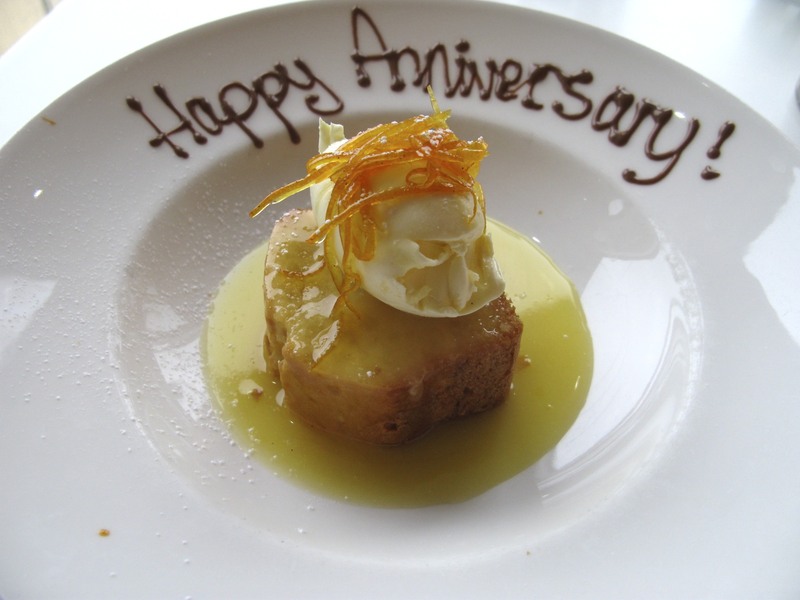 Happy Anniversary–what a lovely celebration! So funny the joys of blogging. It is so wonderful that you and John celebrated your lovely day, but here I sit in Texas having enjoyed the glimpse into your day too. THe building is beautiful too. Thank you for sharing. Happy Anniversary! 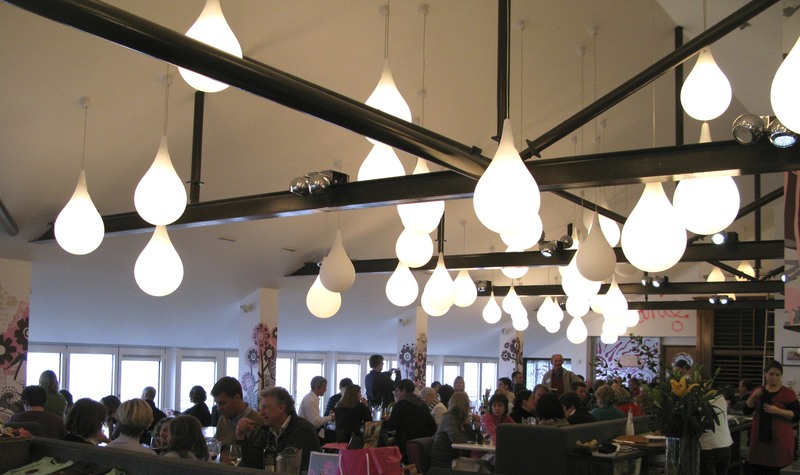 and thank you for sharing the photos of that incredible meal, I found myself imagining how each dish tasted. yum. And that heart in the wall was simply brilliant! “Waffeur thin mint”, was all I could think of! Ask John to explain the reference if its not one you know, its pretty old. Looked like a lovely anniversary meal. Thought and thought about it and I guess I don’t have anything special! But we did have 27 mostly lovely years together. Yours anniversary lunch (dinner?) looked wonderful! I love the greens in that pic of Roast fillet of pollock with Fifteen’s amazing squash caponata, spinach and aceto di balsamico. I love when food is art too. 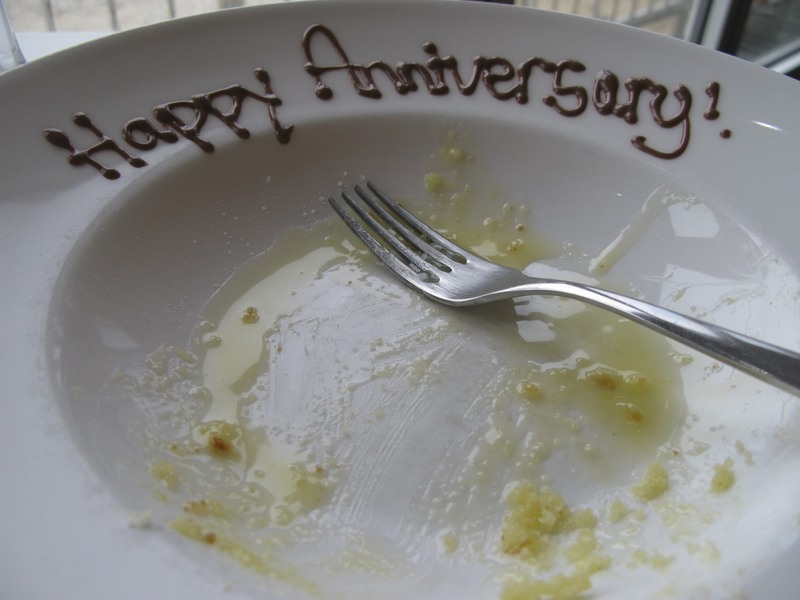 A belated but heartfelt happy anniversary to you and John. Love the photo of the heart stone and the safety and love it represents, and the ‘Fifteen’ meal looks FABULOUS.